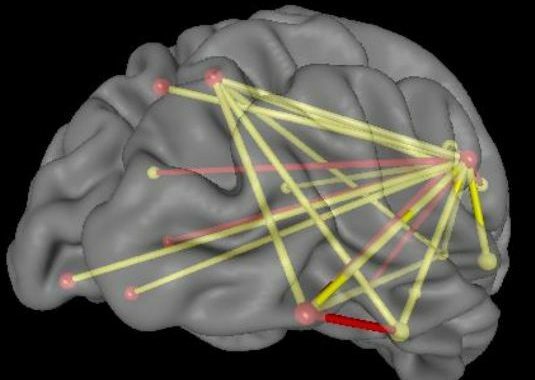 It is well established that psychiatric/psychological symptoms can be linked to neuronal dysregulation of brain areas and networks that are linked to these symptoms. 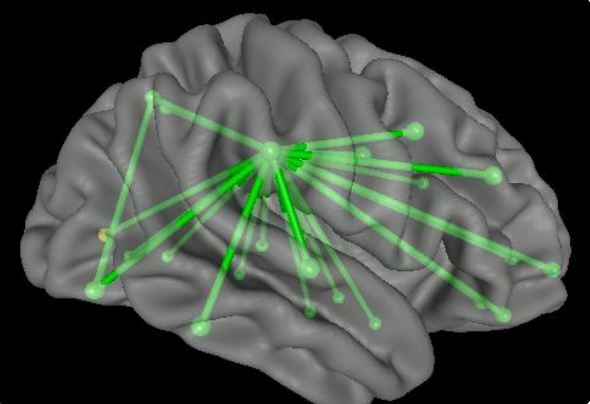 Regulating these disturbed networks towards stability will alleviate the symptoms caused by the dysregulation. 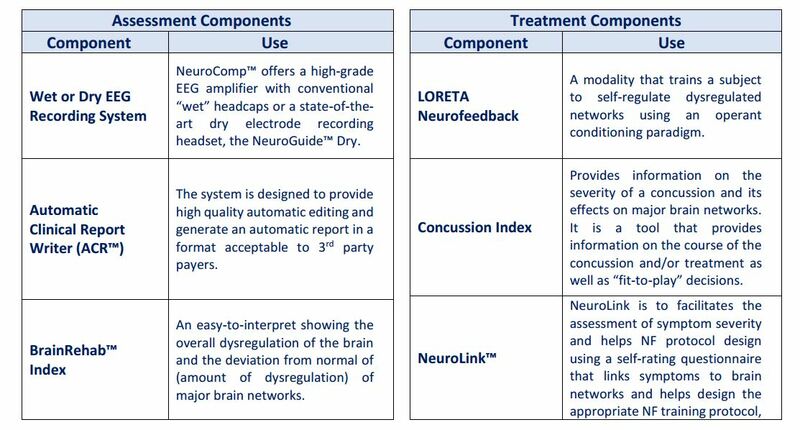 For the first time NeuroComp™ is offering a cost effective, revenue generating system that is based on methodologies and procedures developed by Applied Neuroscience, Inc, which is successfully used by over 3,000 clinicians worldwide, and has successfully been used in a variety of disorders such as: Addiction, Anxiety and Mood Disorders, Attentional Disorders, TBI, PTSD etc. 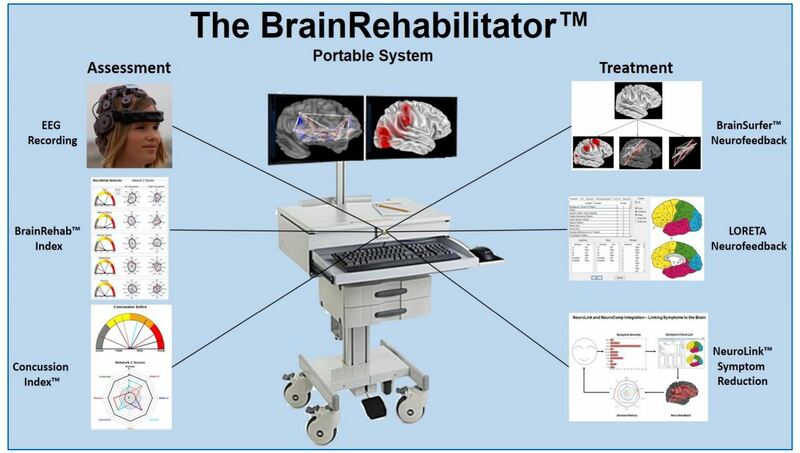 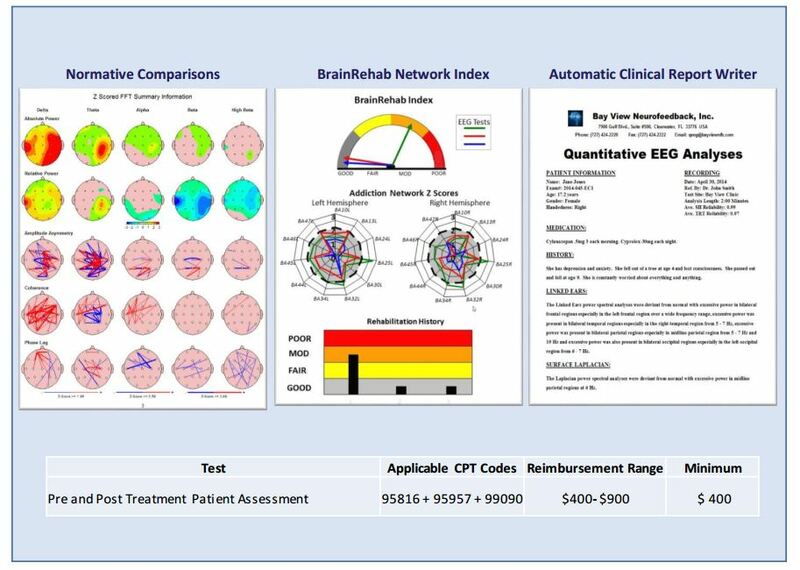 The BrainRehabilitator™ is a complete tool that ASSESSES dysregulated brain areas and networks and provides tools to TRAIN THEM TOWARDS STABILITY.